Improv games offer flexible, practical, effective, and low-cost strategies to integrate arts, academic, social, and emotional learning. 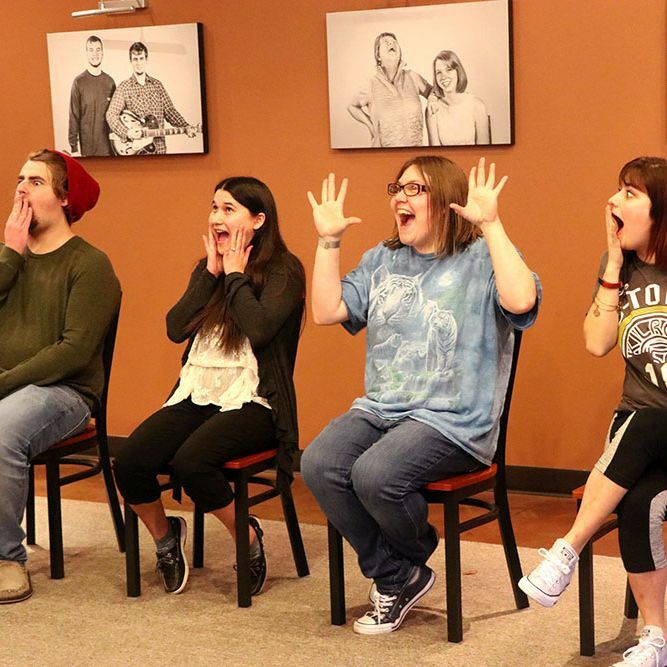 Dr. Jim Ansaldo of Indiana University's Camp Yes And will lead a series of one-day professional learning workshops around using improv to strengthen academic and social/emotional learning for students with disabilities. Improv is the art of spontaneous theater, where plot, setting, and character are created during the moment of performance. Improv games offer flexible, practical, effective, and low-cost strategies to integrate arts, academic, social, and emotional learning. Participants will be up on their feet, learning and practicing improv games that teach Indiana’s Academic Standards, 21st Century Skills, and CASEL's social/emotional learning competencies. The workshop also will explore ways that improv aligns with Universal Design for Learning, instructional scaffolding, and tasks analysis to support students with and without disabilities. The workshops are designed for K-12 general and special educators, speech-language pathologists, and school counselors, social workers, and psychologists. Certificates of attendance can be used to fulfill Indiana Professional Growth Plan, Indiana Professional Licensing Agency and ASHA continuing education requirements. These workshops are offered at no cost to educators! April 8, 2019 from 9 AM to 4 PM: Jasper, IN -- register here. April 12, 2019 from 8:30 AM to 3:30 PM: Lafayette, IN -- register here.